This is the definitive guide to compensation and benefits for modern HR professionals who must attract, motivate, and retain quality employees. Technical enough for specialists but broad in scope for generalists, this well-rounded resource belongs on the desk of every recruiter and HR executive. 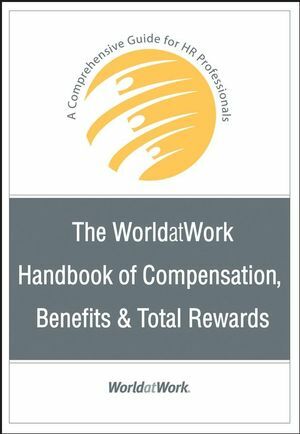 An indispensable tool for understanding and implementing the total rewards concept, the WorldatWork Handbook of Compensation, Benefits, and Total Rewards is the key to designing compensation practices that ensure organizational success. WorldatWork, founded in 1955, is the world's leading not-for-profit professional association dedicated to knowledge leadership in total rewards, compensation, benefits, and work-life. WorldatWork focuses on human resources disciplines associated with attracting, motivating, and retaining employees. Besides serving as the membership association of the professions, the WorldatWork familyof organizations provides education, certification (Certified Compensation Professional/CCP®, Certified Benefits Professional®/CBP, Global Remuneration Professional/GRP®, and Work-Life Certified Professional/WLCP), publications, knowledge resources, surveys, conferences, research, and networking.